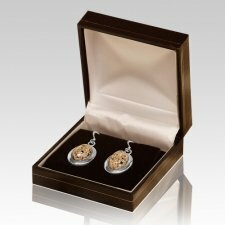 When you want a discrete piece of cremation jewelry, then a pair of cremation earrings or cremation cufflinks are a great way to remember that one you love without drawing too much attention. 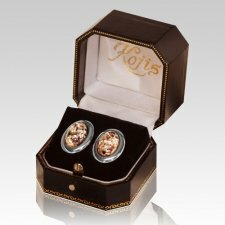 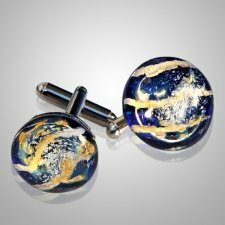 All of these exquisite cufflinks and earrings are made special by artists from the ashes or hair of your loved one. 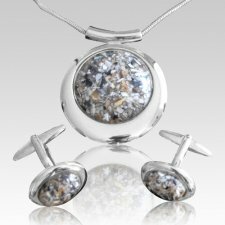 We work with you to send us a small amount of your beloved's remains and our artists mix the remains in with the glass art at creation time. It really is a truly unique memorial gift.